Someone asked me recently what to do with all those boxes of electronics and appliances. You may have been lucky enough to get some great presents for Christmas and now you have some boxes hanging out taking up space. So the question is…do I have to keep them? And if so, for how long? This is not a yes or no answer so let’s break it down. 1- Do you own the item still? If no…GET RID OF IT! If yes…see number 2. 2- Does the item have a warranty? If no…I would probably get rid of the box after a few weeks of use. You’re only going to be able to return the item to the store if it’s broken and you won’t need the box if it’s in fact broken. If you’re undecided on whether you like the item…use it and decide. If yes, it does have a warranty…see number 3. 3- Is the warranty still valid? If no…GET RID OF IT! If yes…write the date of the warranty expiration on the outside of the box. This will make it easier to answer this question in the future. I would try to keep the packaging for electronics (tv’s, computres, etc) as long as the warranty is valid. Outside of the warranty the only reason you might be keeping the box is if you would like to resell the item. This does help with resale value. But be honest with yourself here. Are you really a resale kind of person. If so, great. I am. If not…don’t crowd yourself with boxes. Break down the boxes for space saving if possible. 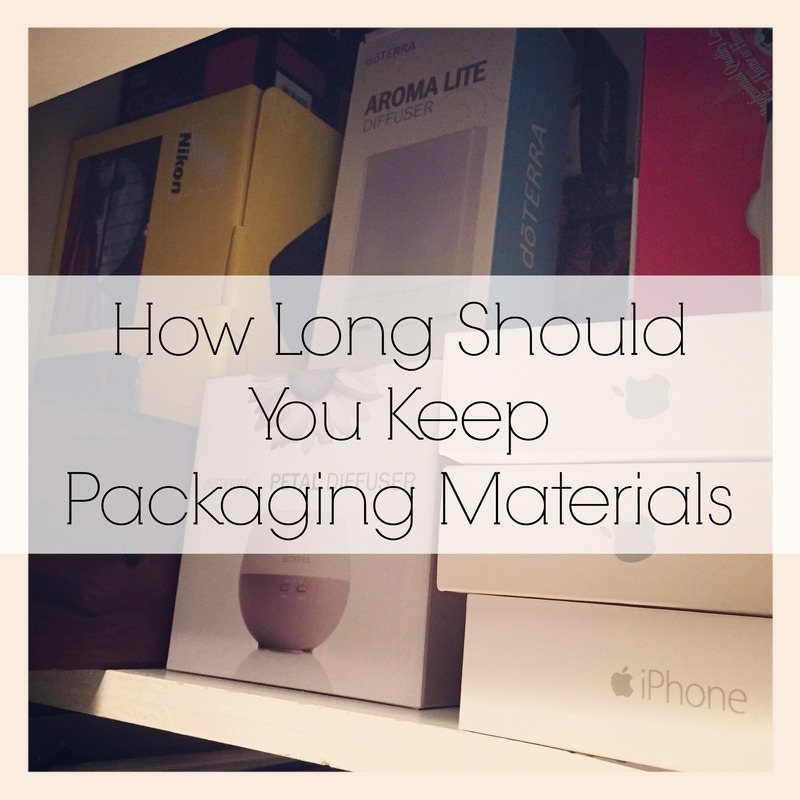 You don’t necessarily need all the packaging materials. That can be aquired fairly cheaply in the future if you should need that. 4- Also, as a side note. Do not junk up a drawer with all those manuals. Do you really need that manual? Do you refer to it on a regular basis. Have you checked to see if it’s available online? Wouldn’t you be much more likely to google any problem you’re having with an appliance or electronic before you pick up the manual? I know I would. Be smart about what you keep…don’t crowd up your attic with things you don’t need. Yea!!! Glad I could help.